How do you transform your engineering culture? It starts by finding the thing that stitches you together. For our team, that bond comes from a culture of helping others. Over the years, Silicon Valley has churned out programmers who think about everything but that. Since engineers are generally hard to hire, companies have had to go to extreme lengths to bring talented people on board and prevent them from slipping away. But somewhere along the way, things got wonky. In a certain tech company’s San Francisco office, the engineers are the only team that’s served dinner. Inequities like these stack up, and over time, changes how people think. It makes engineers less about serving others, and more about serving themselves. So when we started building our engineering team, we explicitly said we’re going to do things differently. 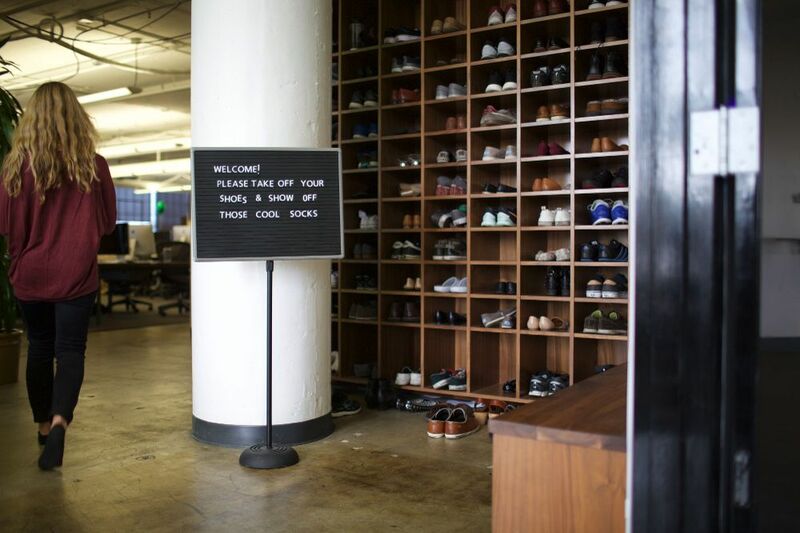 At Gusto, our engineers are a group of (shoeless) people who came together over a simple idea. When someone needs a hand, every single person on the team is more than willing to slide off their headphones, pull up a chair, and do whatever is possible to help them out. Our teams are focused and accountable for their goals, but at the same time, have a constant thirst for helping others. There are no fiefdoms or territories here, and successes are always celebrated together. In the end, that culture is what our engineering team is all about. These are a few of the ways we’re working on making that service ethos front and center at Gusto. We aren’t programmers because we like shiny new things. We’re programmers because we want to make people’s lives better. If you go through the recruiting process at other companies, one of the popular ways they sell candidates is by telling tell them they’ll get to work on tough technical problems and then they’ll feel super awesome once they solve them. Here, we’re kind of the opposite. Yes, we definitely have hard problems to solve — ahem, 15 billion dollars goes through our payroll system each year — but that’s not our main selling point. People who thrive here get a thrill from solving impactful people problems. You have to shift your mindset a little to get that feeling, but once you do, it allows remarkable stuff to happen. So how do you find folks who jive with this idea? Look for people who get energized by helping people. One of the easiest ways to do this is by asking interviewees what excites them. Their answer to that question is a good indicator of where they find satisfaction. Do they just want to solve hard, technical challenges or do they actually want to help people? If they focus too much on the languages and technology stacks, and not on the people part, that’s very telling. It’s also important to leave room for the candidate to ask questions during the interview. It sounds like a no-brainer, but you can learn a lot about people when you just let them talk. The extent to which software can make painful things painless still astounds me everyday. Many of us think about that in terms of just helping customers, but it’s also about helping each other out as teammates. Yes, our engineers plug away on product features, but they also work on tools that our customers never see. For example, engineers will sometimes purposely sit next to an operations team to observe how they’re going about their day. If they see a task they’re doing over and over again, someone will pipe up and say, “Hey, if I write a program, this could save you a couple hours every week. Would that help you?” And often their response is a wholehearted, “yes.” We call this idea “not being the priestly class” — service, not entitlement, is our purpose. That service mindset is the whole reason we’re here. It’s also important for us to give back to the community at large. The team has written some pretty cool stuff, so we'll try to open source any code that we think others might find helpful. Doing this has a ripple effect — it allows us to sharpen our code, and get the word out about our mission. When we learn something new, we also make sure to write about it on our engineering blog so others can benefit from our experience. Another way we give back is by mentoring others in the tech community, through programs like Hackbright Academy, a coding school for women, and Level the Coding Field, a weekend hackathon for 8th and 9th graders. Each program allows us to help underrepresented groups get excited about engineering, and it means a lot to our team (and we hope for the participants too). This all ties back to our belief that you have to do good, give back, and ultimately, do what’s right. No matter what we’re building, we make sure every line of code has two subjects in mind: the people we work with and the people we serve. They’re the heroes and heroines of the the programs we write. And when you instill that kind of spirit into your team, it somehow lights up everything you do. Interested in learning more about the Gusto engineering team? Check out our careers page today.